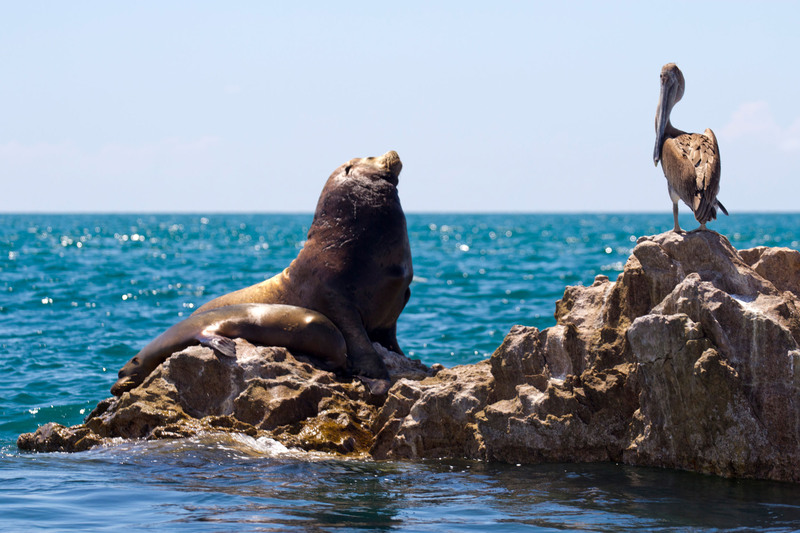 One of the main natural attractions awaiting discovery when in search of adventure upon visiting Puerto Peñasco is a trip to Isla San Jorge, also known as “Bird Island”. 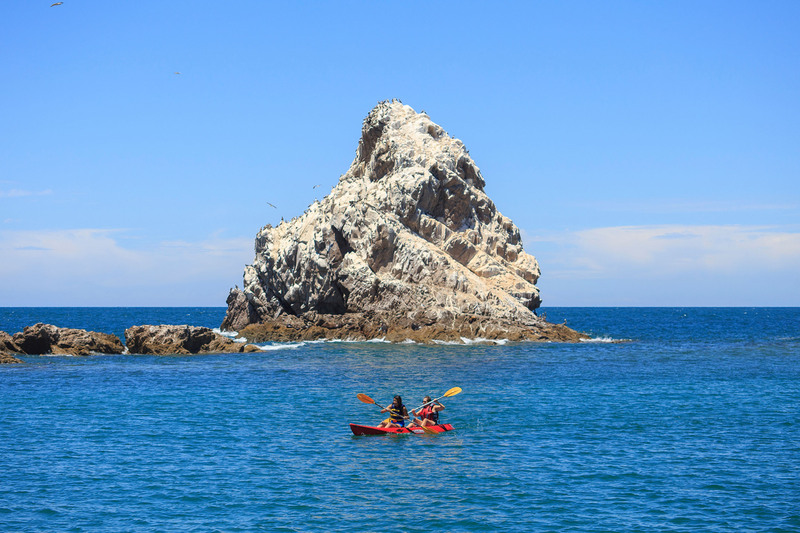 Be sure to spend an incredible day getting to know this beautiful corner in the Sea of Cortez! 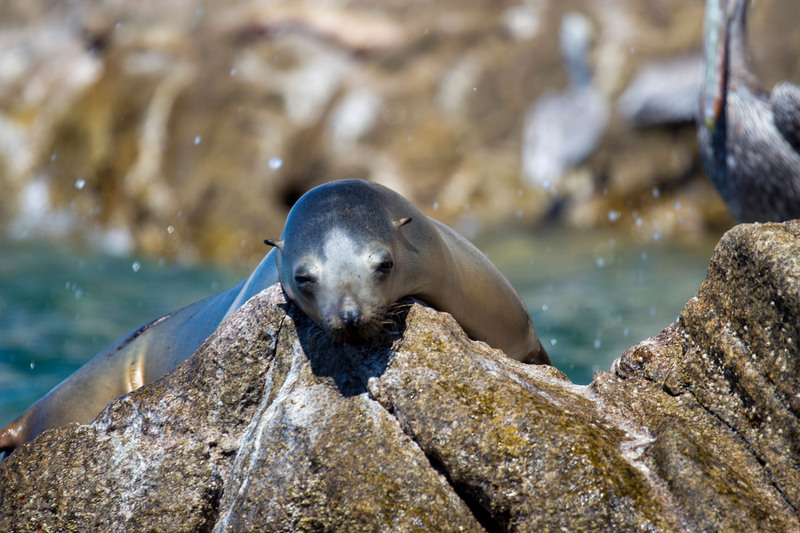 Decreed a federal reserve in 1978, this small group of rock formations is home to birds characteristic to the Upper Gulf of California, as well as migratory species, and also exhibits one of the most important populations of seals and sea lions in the country! 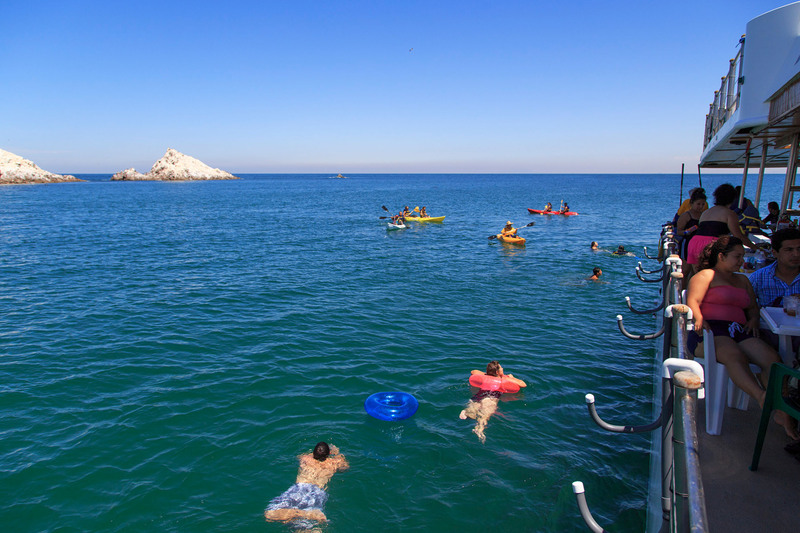 The trip begins early in the morning by boarding a boat at the marina in Puerto Peñasco for the approximate 1½ hour trip to the island. This time allows you to take in the beautiful early morning and enjoy the coast extending southeast of town. 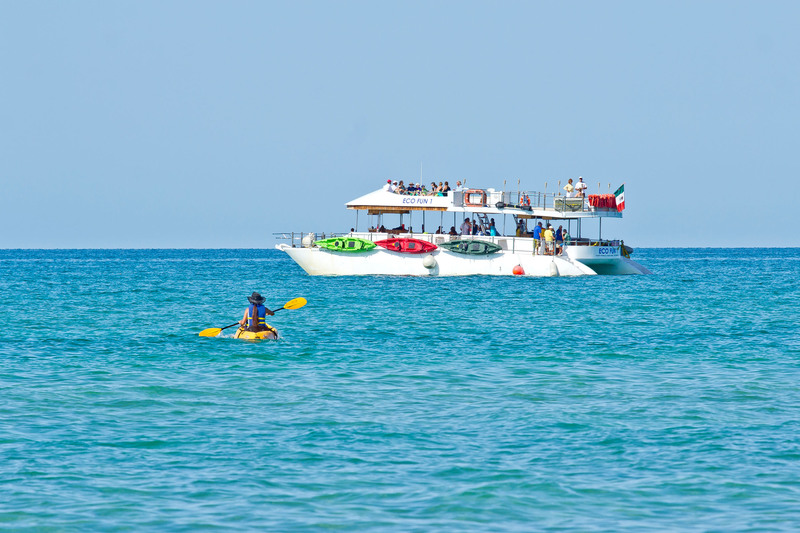 If you’re lucky, along the way you may come across groups of dolphins accompanying the boat, entertaining everyone with their acrobatic maneuvers. If your trip is in the winter, we recommend you bring along binoculars and stay alert for possible whale sightings. In nearing the island, you can readily appreciate various birds that fly alongside the boat on its journey. You’ll also be sure to note the characteristic smell given that the island is inhabited by thousands of birds, evidence of which is plain to see. After arriving at the island generally from the North, which is protected from currents and winds from the south, the most exciting part of the trip begins. 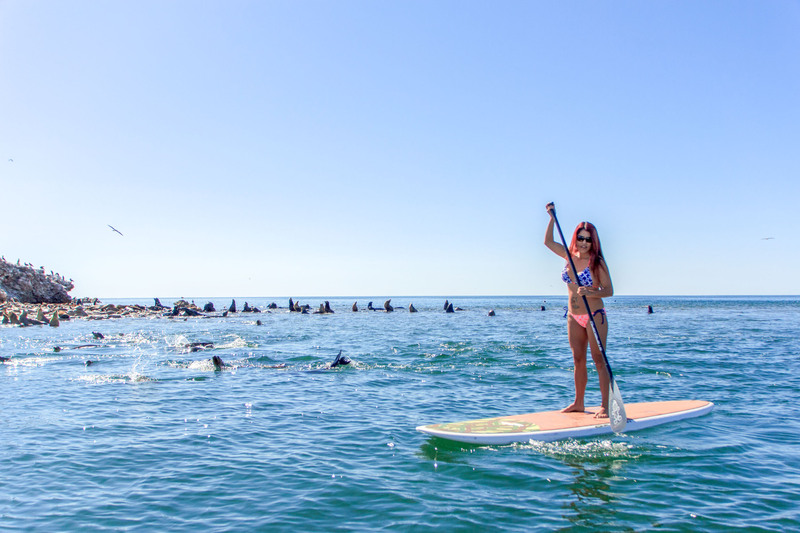 Take in this paradise in the company of hundreds of seals and sea lions who, curious to your presence, jump into the water to investigate and play around visitors. 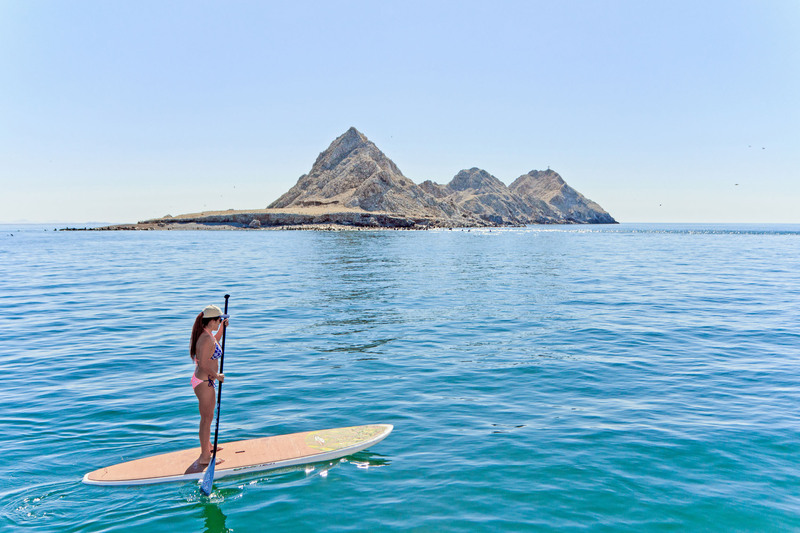 This is also when you can enjoy a variety of activities from merely observing and photographing the area to hopping aboard a paddleboard or kayak, or swimming in the sea. 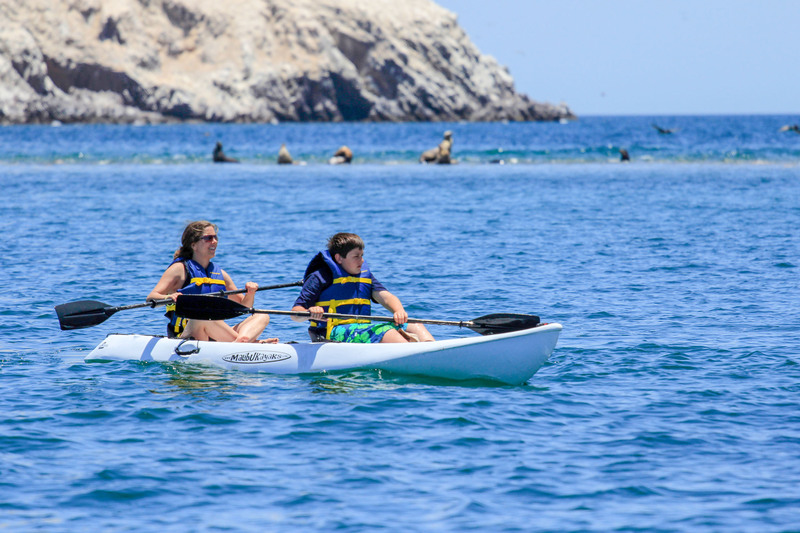 Though landing on the island is not allowed, kayaks can get pretty close for observing the majestic sea lions. Or you may choose to swim, surrounded by curious and playful seals. 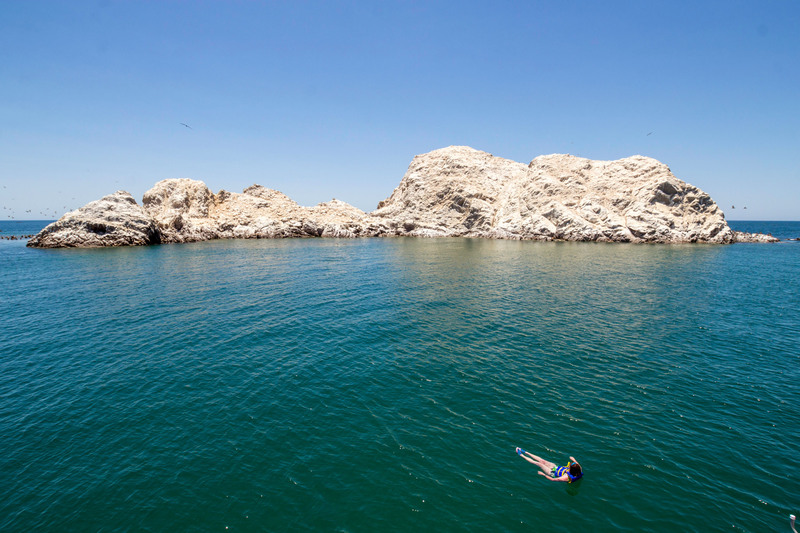 In normal conditions, water visibility also makes this an ideal spot for snorkeling or diving. 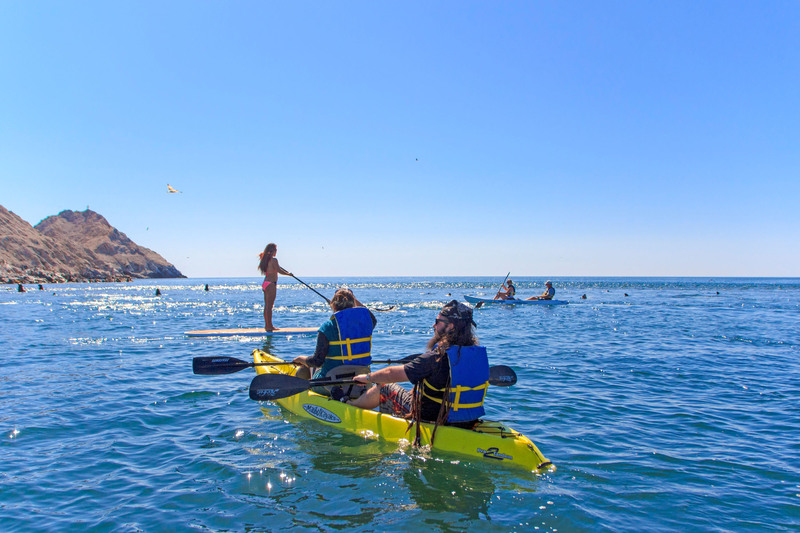 After enjoying the Sea of Cortez, Bird Island, and its hosts, take pleasure in the return to Puerto Peñasco, resting and refreshing in the sea breeze while preparing to relish in a beautiful sunset as you top off a grand day of adventure!